Solar Energy: Passive and Free! It seems being environmentally friendly is all the rage now but for some reason I was bitten by the environmental bug years before it became the thing to do. I was using my own reusable bags well before it was fashionable. It’s funny the strange looks I received from clerks when I asked them to place my purchases into my own canvas bag. I used to joke with my husband that if I could get a nickle for every time the puzzled cashier exclaimed “are you SURE? ?” that I could pay off all our bills! Because I naturally have such a “tread softly on the earth” mindset it was primary in my mind when we built our home. We incorporated many energy efficiency features as well as passive solar features into its construction. But not everyone is in the building phase of their home so I thought I’d pass on some good news – passive solar energy can be very low cost and many times doesn’t cost a dime! We’ve already discussed solar cooking your bread here, and the use of inexpensive tube-style skylights here. But one of the easiest no-cost ways to use solar energy in your home is with the use of your window coverings. 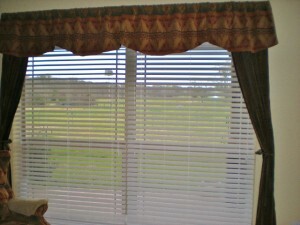 In the warmer months you can close your drapes to cover those sunny windows and keep that heat from coming into your home. In the cooler months the opposite is true. Open up those coverings and let the warming sun come through! 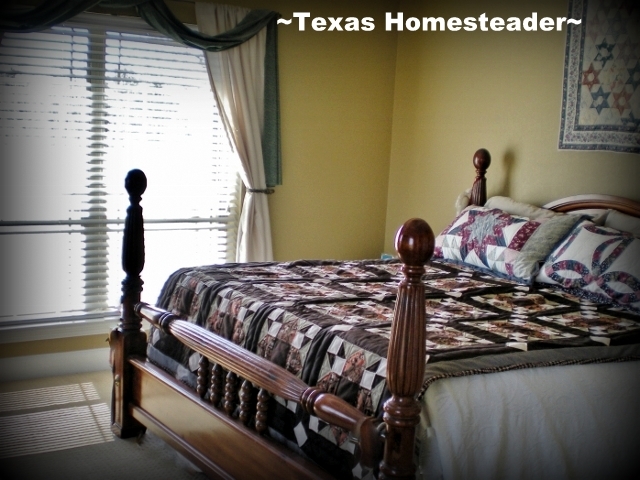 You can also use your windows to allow natural light into a room. If you have an open floorplan even better because light spills into larger areas of your home. We have 2″ blinds as our main window coverings and heavy curtains/valances for the decorative covering and for cold-weather closing. That way we can easily open and close the blinds to suit the conditions. Since we have an open floorplan actual electrical lights are not even needed until nightfall. 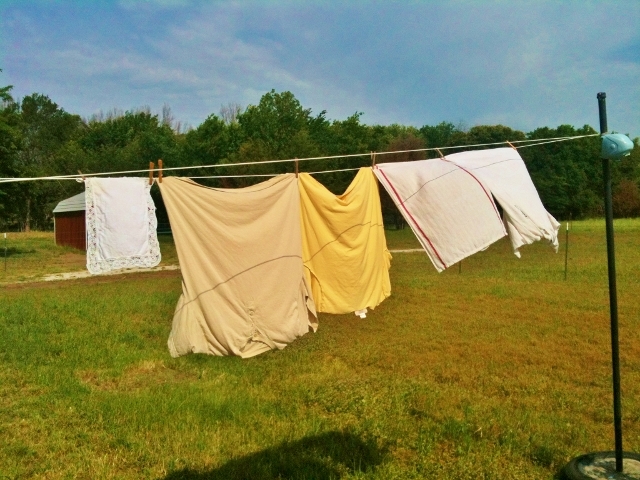 One of my favorite ways to use solar energy is with my solar clothes dryer. 😉 We own a nice gas-powered dryer but I don’t use it. I love to hang our clothes outside. The delightful aroma that is imparted into the fabric cannot be duplicated. What about using the sun for other things such as brewing Sun Tea? Or melting your crystallized honey down into that smooth sweetness once again. If you want to go a step further you can even use the sun to cook your food! I have a *Solar Oven and I use it constantly, especially in the hot/humid summer months. You can check out all of my Solar-Cooking posts for ideas. And heck, the Sun Oven folks have even offered a coupon for our readers! If you want to dive even deeper into solar energy there are many other ways to use the sun for heating water, generating electricity, or recharging portable electronics. The web is full of ideas and the technology is getting less expensive all the time. It’s easy to use the sun’s energy! 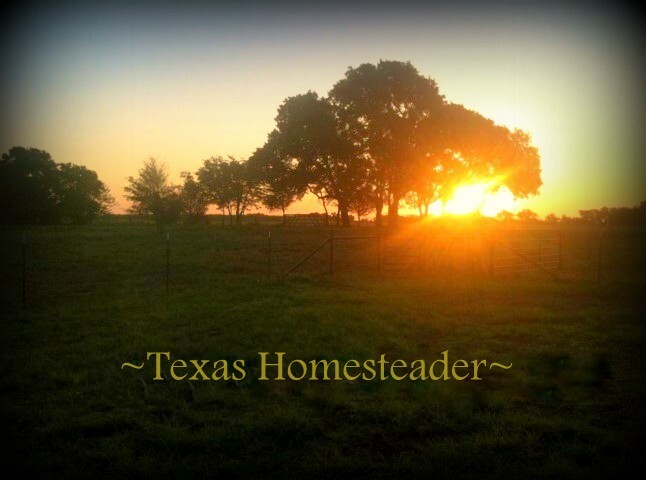 This entry was posted in Blog Posts and tagged Environment, Frugality, weather on March 20, 2013 by Texas Homesteader. I love having my curtians open to let the light in. We were just talking about hanging our laundry. We used to, but then we moved and even thought we have a clothes line I just couldn’t get it together. But I’m determined to hang our clothes this summer, for sure. I really appreciate what you said about the draperies! It is so true. In our first home I made a pair of pinch pleats that we frequently opened and closed to help control the temperature. We’re looking forward to using our clothesline as soon as we can get one made. Thanks again for linking up to the HomeAcre Hop. Great post! I’v lined my curtains with a special light excluding lining. In winter it can also keep out damp draughts (which are many in our old, ramsackle house). That same dampness makes a dryer a need. I know, our grandmothers did without, but they were bent with reumatism and I don’t think that’s worth it. But when the sun is shining, nothing better than a clothes line. Even when it is freezing cold! Yes, the environment friendly solar energy bug, I have that one too. I pay a fortune to the power company. I am always looking for ways to save. Your other post about saving electricity had some great ideas as well as this one. I love hanging my clothes outside! My dh built a fabulous clothesline about 2 years ago. Since we only use room a/c in the bedrooms, I make sure to keep the curtains closed during the day to keep the heat out during the summer. Thanks for linking up at Fabulously Frugal Thursday! I open all of the shades to let the sun in on Friday. Our boiler went out Thursday night and it was cold in the house. Luckily, it was sunny in Chicago. I want to go off the grid and have solar energy for my home but it’s too expensive. I grew up in a house where the main heat souce was passive solar, with a wood stove for back-up. (My parents have since switched the wood stove to a pellet stove.) The house is built into a hillside, leaving only the south side exposed.